Bathrooms look beautiful and classy with furniture. The stylish furniture makes space for the materials to stay in and make the bathroom look like a compact place embracing all the necessities. But this furniture organizes everything for you only if you maintain it well. So here are some of the tips that can help you in maintaining your bathroom. Take a look. If your cabinets are made up of wooden ply then ensures that they stay away from water. This is because water can make the ply swell and bulge out. It will spoil your furniture and make it look uneven and strange. Thus the wooden cabinets should be away from the shower so that the ply is not exposed to water. The things to be kept inside the cabinets such as towels, clothes, razors, toothbrush and toothpaste should be dry. Any wet items can lead to generation of moisture inside the cabinets which becomes the home of cockroaches later on. If it is not possible to keep only dried items inside then make sure that you keep the cabinets open till the time the inside do not get dry completely. While buying new furniture or replacing the old one in your bathroom try to get the drawers which are detachable. This is because the drawers get cleaned properly and do not embrace the waste material as you can clean it conveniently. This will also help you to keep the things in a more organized manner. The wooden furniture can be exposed to threat of termites so get it protected from certified protectors. Save your bathroom furniture from being prey to the leaky material of your shampoos or soaps. Sometimes you keep the open sachets of shampoos or serums in or on the furniture. Some of them get cleaned if noticed timely while some other leaves a mark for life. Therefore try to keep the open items away or in open where there is no harm even if they leak. Leaking taps lead to lot of water loss but along with this it puts marks on the surface of your basins which are very hard to clean. Therefore if you have a leaking tap in your bathroom then get it repaired or replaced at the urgent as the dirty marks can spoil the image of your beautifully designed bathroom. Last but not the least it is important to keep the bathroom clean. Always use the dry tissues to clean the inside side. Keep some naphthalene balls where some clothes or towels are kept. This will keep the germs and infections away from your bathroom and keep your items and things fresh and fragrant. The mirrors should be cleaned with the help of newspaper instead of a cloth. It saves the mirror from scratches and cleans its surface very nicely. 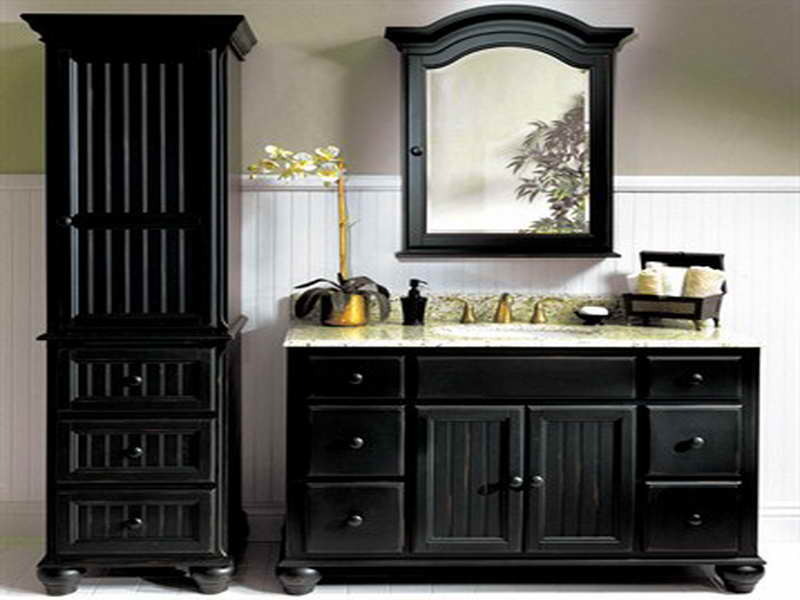 Thus bathroom furniture desires the maintenance to give more years to their life.